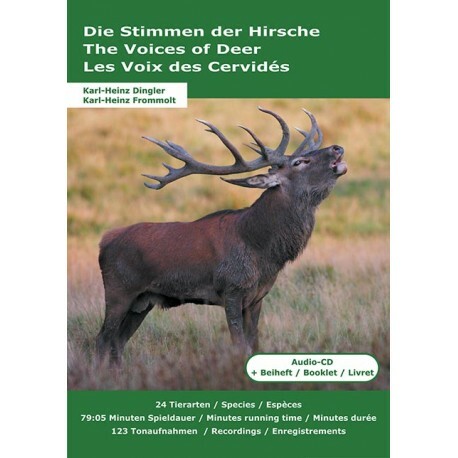 This audio CD presents a comprehensive collection of calls and further vocalizations of 24 representatives of the deer family Cervidae including 18 species in 123 recordings. Although the focus is on European species, the compilation is enhanced by characteristic voices of their closest relatives. The Red Deer, the Roe Deer and the Fallow Deer are portrayed in detail. In addition, the Altai Wapiti, North American Wapitis, Sika Deer, Muntjacs, the European Elk, the Reindeer and other interesting species can be heard. 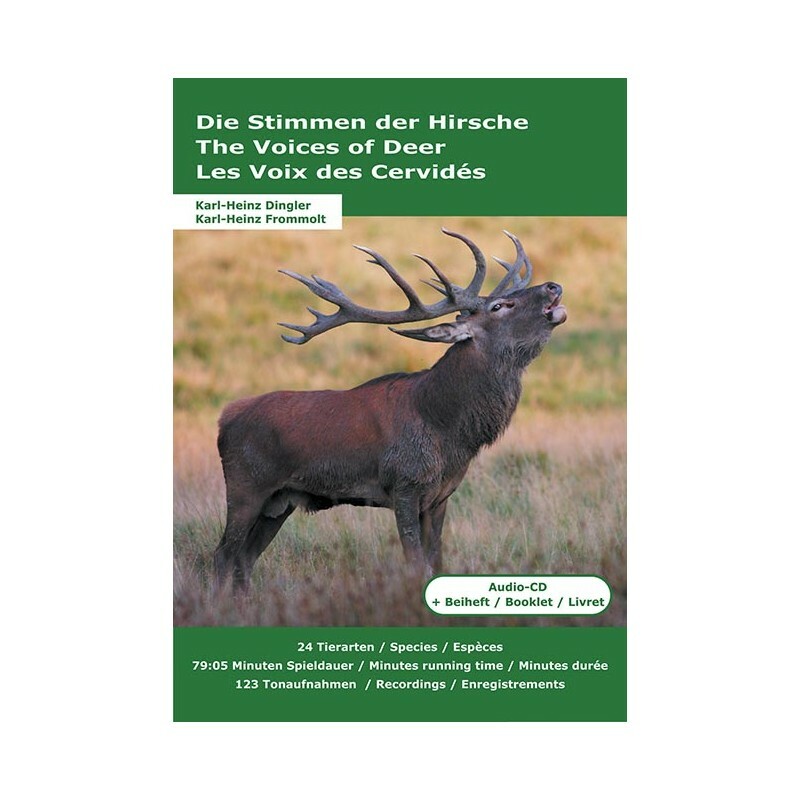 The accompanying booklet in German, English and French gives detailed information on every recording and the behavioral context. Experience the fascination of deer while listening to their voices!